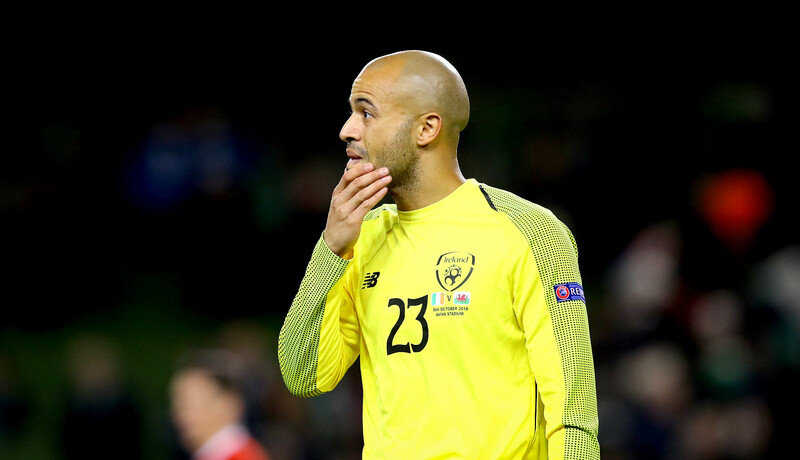 Pundit Arena sat down with Irish goalkeeper Darren Randolph, who opened up on his international career, a difficult year with the Boys in Green and sympathising with Declan Rice. It is said that the goalkeeper is the most lonely man on the football pitch. 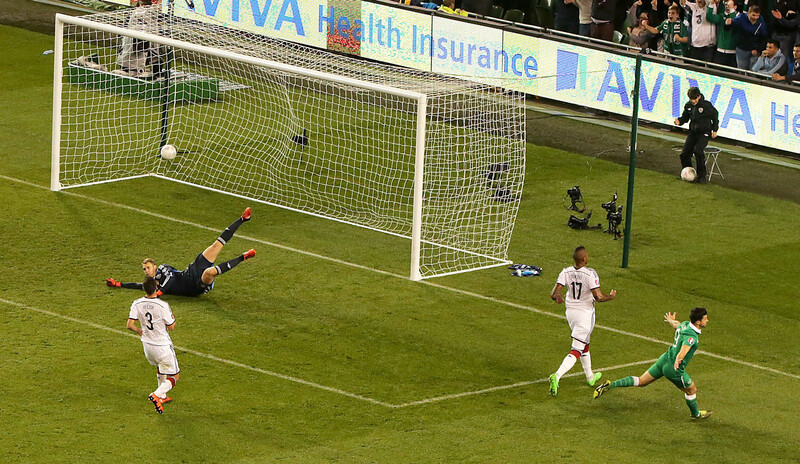 For Ireland’s Darren Randolph being between the posts is what he’s always loved. Even during the toughest of times. The 31-year-old Middlesbrough number one has come a long way in a very short time. Growing up in Bray, Randolph moved to then Premier League side Charlton Athletic from Wicklow’s Ardmore Rovers as a 16-year old in 2003. 12 years later he became Ireland’s number one. 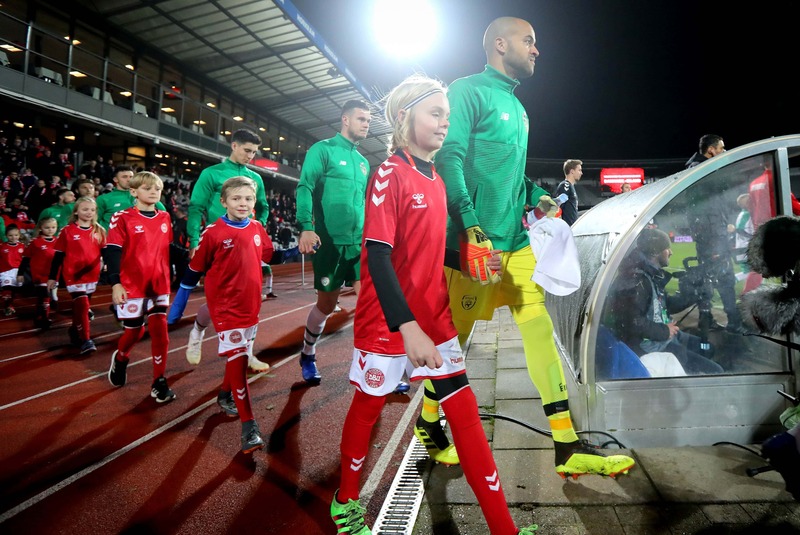 “I’ve been very very happy with my Irish career so far, considering I only started playing regularly at 28,” began Randolph speaking exclusively to Pundit Arena. “So I suppose in that short space of time, to have had one major tournament in there and to have been involved in some of the games that I have been involved in I think has been very good. “Obviously, I would have loved to have played for longer but you had some great keepers like Shay (Given) obviously who played for as long as he did. You have to be patient and bide your time which I felt I’ve done. I’ve been in and out of the squad since 19 or 20 so to finally, at the age of 28, play, it’s a cliche but it’s a dream come true. When discussing his career in green, Randolph speaks confidently and passionately. The same characteristics he frequently displayed between the sticks in what was a difficult year for the Irish national team. Randolph has become a leader in a transitioning side and is unquestionably one of the first names on the Irish team sheet. But it wasn’t always like this, and Randolph explains that there were stages in his career where he felt that he would never get his hands on that coveted number one shirt. “I know I’ve had stages where I was 3rd or 4th choice and I couldn’t even get in the squad. “People in front of me were playing and I did think maybe it’s not going to happen maybe I’ll just be here floating around getting the odd cap here and there but again in football you never know how quickly things can change. The Bray native came on as a replacement for usual number one Shay Given when the world champions came to visit the Aviva Stadium in October 2015. Randolph etched his name in the country’s footballing folklore when his long ball over the top was famously converted by the onrushing Shane Long to give Ireland a history-making victory. Has that been the highlight of his Irish career? “The Germany game is definitely a highlight,” agreed Randolph. “It’s always nice, I’ll always be in the history books for that assist. It’s one of my top memories, that game, the Bosnia play-off game, many of the Euro games, of course, the Italy one, the Wales game. The victory over Germany however, must’ve felt a lifetime ago in what was an abysmal 2018 for Ireland. One friendly victory, 0.4 goals per game on average and Nations League relegation. Despite a difficult year, Randolph was keen to outline that the squad belief never waivered and explained that he feels the transition in the group was the reasoning behind their poor run of form. “I wouldn’t say the squad was down at the time. There was a huge change in personnel too. A lot of people starting their international journey all at once. “Normally maybe you might have a couple of youngsters in with the more experienced players, and that makes it a little bit easier but when you’ve got so many trying to find their way in international football, when you’re not getting the results, it can be tough for everybody. 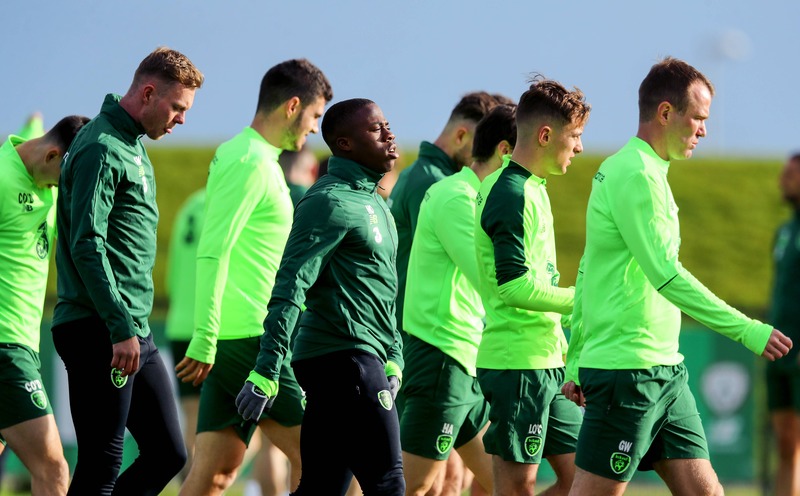 The likes of Michael Obafemi, Ronan Curtis and Caoimhin Kelleher were just a few of the many young players who were drafted into O’Neill’s last Irish squad, and Randolph feels that now, under the new regime of McCarthy, Keane and Conner, the pressure is on both young and old, to gel and deliver results straight away. “Being in the squad the next time maybe the young players won’t have the same feeling of nerves as they did last time out. But at the same time now you’ve got a totally new staff, regime and management. “All of the players are going to have to start all over again. You never know who the manager is going to play, he might not play the same players who played under the last regime and that’s just football. “Unfortunately, there’s no training camps or friendly games in between to bed players in. The next time we meet up we’re going straight into important matches. Without putting too much pressure on everyone, it matters straight away. The 31-year old spoke of his “excitement” at working under new boss Mick McCarthy and one man who may (or may not, depending on what you read) be involved in his first Irish squad come March is Randolph’s former West Ham teammate Declan Rice. Rice has been involved in an international tug-of-war between Ireland and England since August and despite rumours of his commitment to the Boys in Green following a meeting with Mick McCarthy, he is yet to decide his future. Randolph, who knows Rice well from his time in East London outlined that he sympathises with the 19-year old due to he himself having dual citizenship with Ireland and the USA. “I can understand not only Declan but anyone who is in that position, or anyone who has been in Declan’s position in the past between England and Ireland,” Randolph explained. “I have dual citizenship I could play for either (Ireland or USA) I know exactly where Declan is coming from. I don’t know how it feels because I was never that close to having to make that decision. “I’ve played with Declan at West Ham. He’s made that rise very quickly. It’s a lot for him to have thrown at him. He is so young and they’re saying “decide your future now.” Like he’s just broken into the team. He’s buzzing off playing Premier League football every week! It may be cut and dry and easy for other people, it may be a no-brainer. “But when you’ve got that many people in your ear and that many opinions and meetings with people sometimes you just need to take a step back and say ‘let me just focus on my club football first. “Personally yes of course I’d love him to play for Ireland, but that’s me saying what I’d like. As an integral part of the Irish team and a leader in the dressing room, how did Randolph feel Rice’s initial decision was met amongst the players? “I’ve played with loads of players in the past that could play for two different countries and we’ve had conversations in the past. I could see why people would be angry but I can also see it from his side of things. “In the dressing room, I think with the games at the time and everything going on there was a bit of discussion but there wasn’t anything that the boys dragged on too long. With a new dawn on the horizon for the Irish national team under Mick McCarthy and his club side Middlesbrough pushing for promotion in the Championship, the immediate future for Randolph is unquestionably bright. Despite this, the 31- year old’s feet are still firmly on the ground, and the focus remains continuing to improve with the Boys in Green. The Randz Academy are holding a Christmas Football Camp for players of all levels, boys & girls from 6-16 years in the Dublin Indoor Football dome in Santry from Jan 2-4. The Randz Academy is also now taking bookings for term 2 of the Randz Goalkeeping Academy.